According to a Hollywood Reporter exclusive, Warner Bros. is making plans for a spin-off to its billion-dollar hit Aquaman — in the form of a modestly budgeted horror movie with none of the original main cast involved. 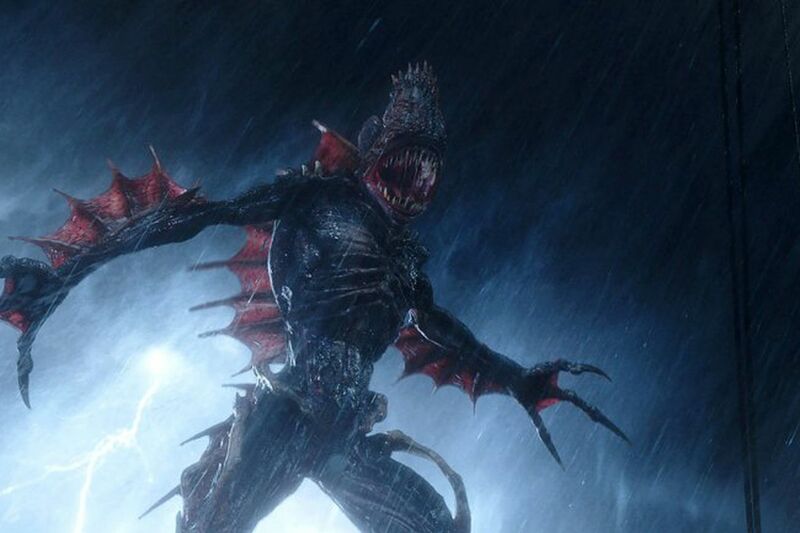 The film, set around the underwater kingdom known as The Trench, would be produced by Aquaman’s director, James Wan, and its co-producer, Peter Safran, who has a long production history on horror films like The Conjuring and many of its spin-offs. Details are limited, but The Hollywood Reporter says Warner Bros. has commissioned a screenplay from Noah Gardner and Aidan Fitzgerald, two former employees of J.J. Abrams’ Bad Robot production company. Aquaman’s combat and escape scene in The Trench gives the movie one of its most memorable images — two of the characters sinking beneath the ocean’s surface, pursued by a massive wave of backlit CGI creatures. Returning to that area to highlight what’s going on there, and to subject some non-superhero characters to the primal dread of the place, seems like a potentially interesting idea for a more personal, eerie film that doesn’t need to continue Aquaman’s story, or in any way echo its epic scale.